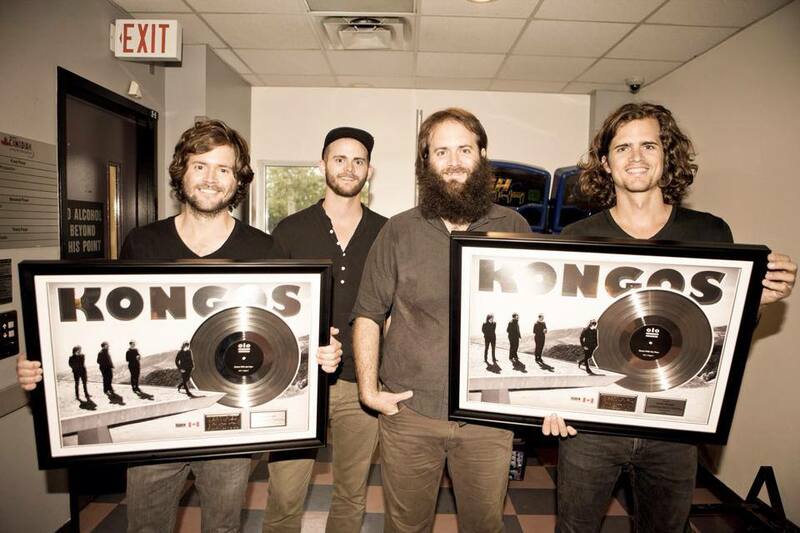 Following their opening set for Kings Of Leon on Tuesday in Toronto, Sony Music Canada surprised South African alternative-rock group Kongos with Double Platinum award plaques for their breakthrough track “Come With Me Now”. The song, which has gained steady airplay on multiple radio formats across the country, comes off their 2014 album Lunatic. “Come With Me Now” lands at #13 this week after 26 weeks on the Canadian Top Digital Tracks chart. Watch the video for “Come With Me Now” below.